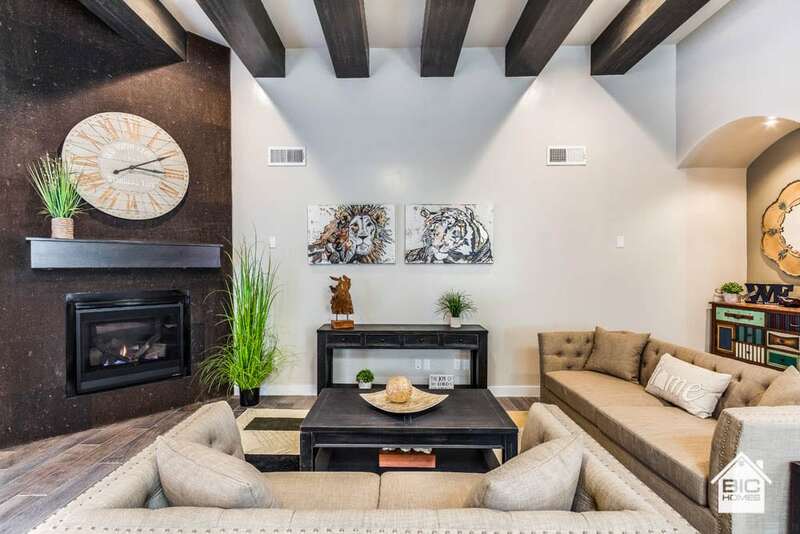 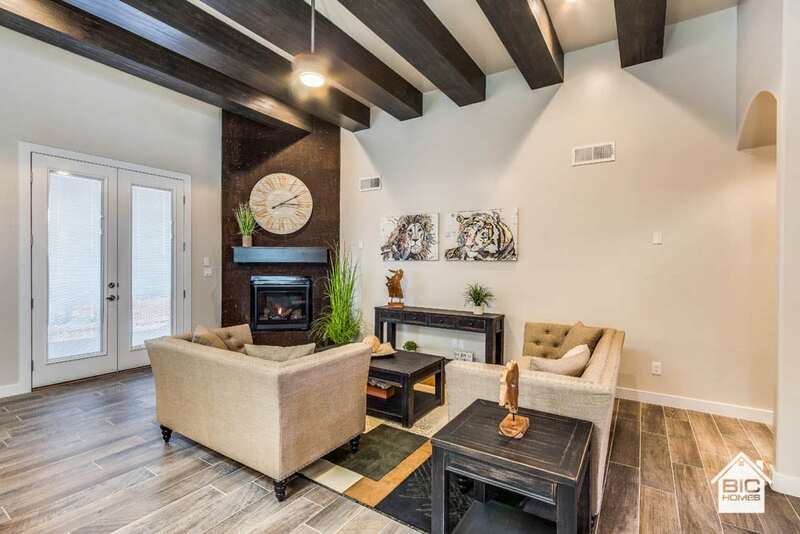 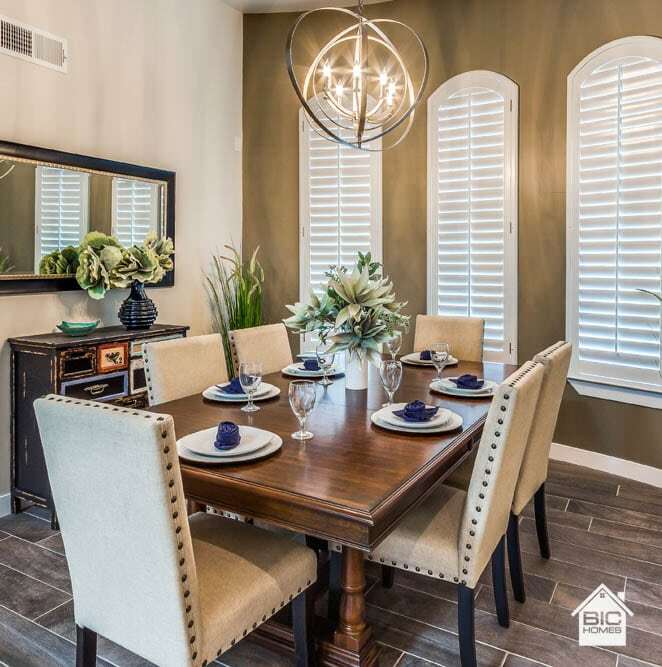 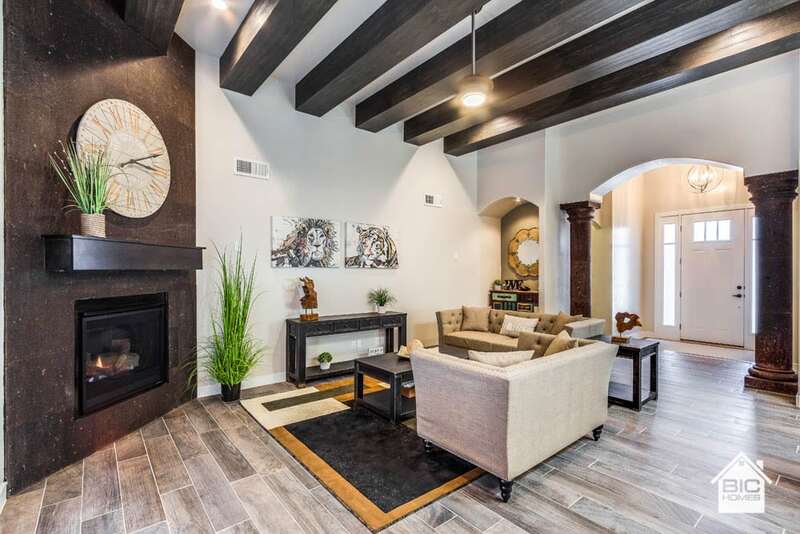 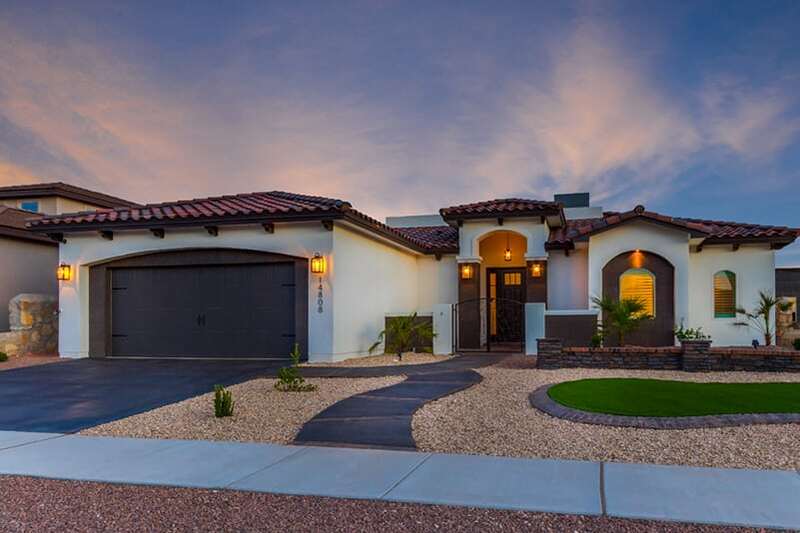 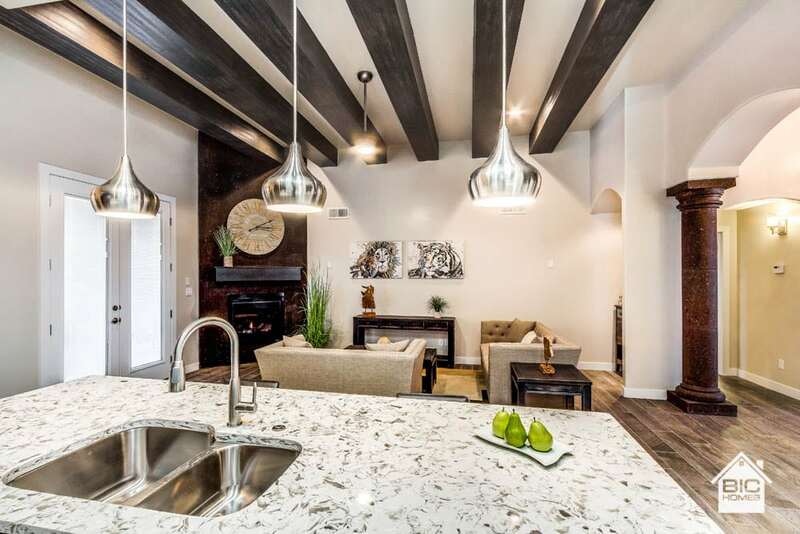 The Barcelona home is a transitional style home, the curb appeal of this home will melt you away, large front courtyard with enough room for a table and benches great for star gazing. 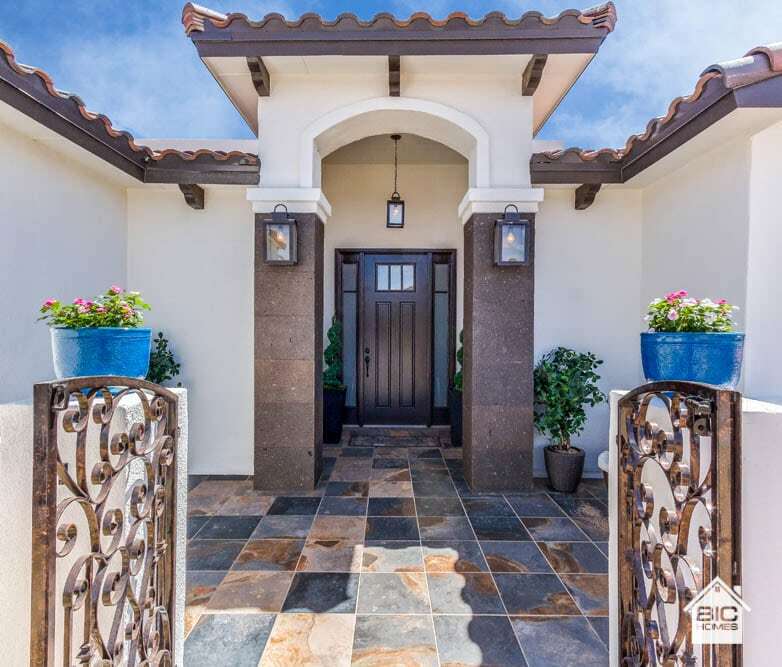 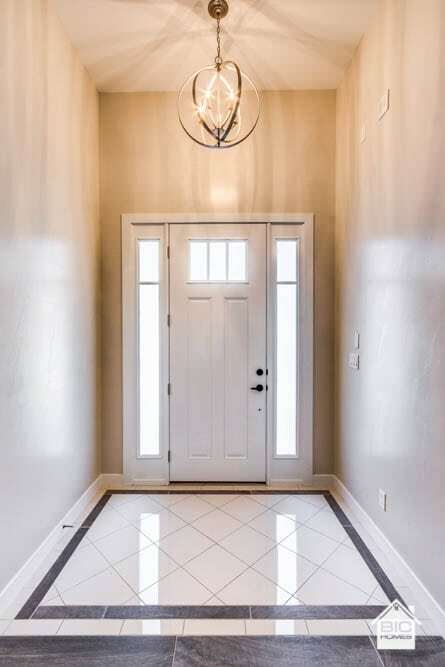 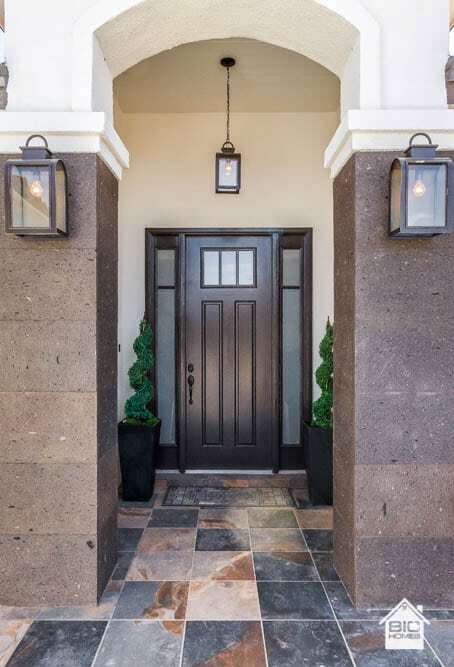 Covered porch leads you into through double 8’ doors talk about a grand entrance! 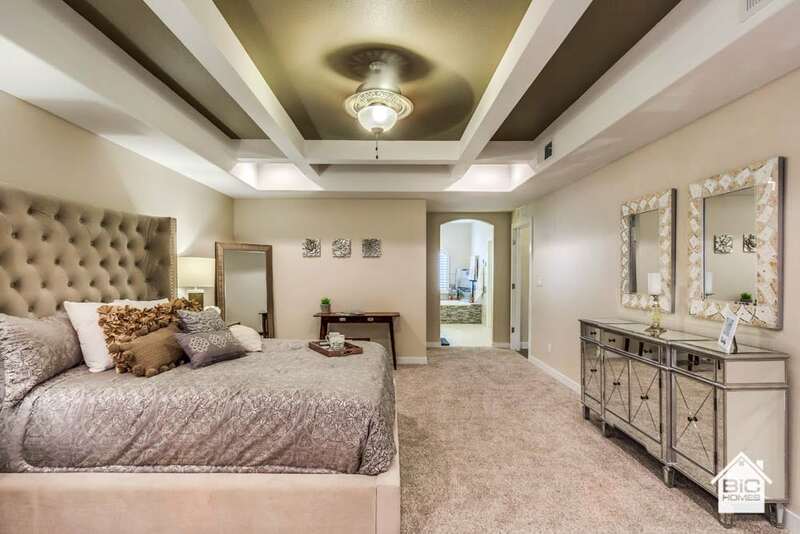 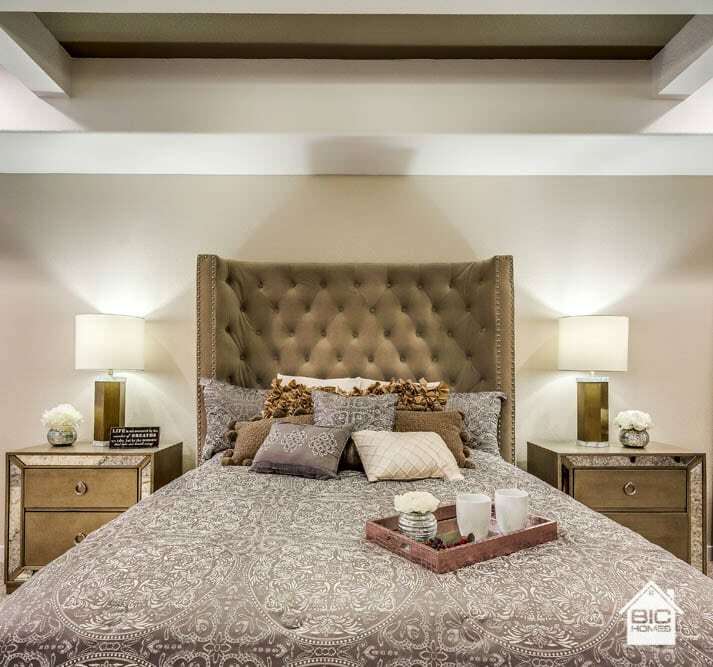 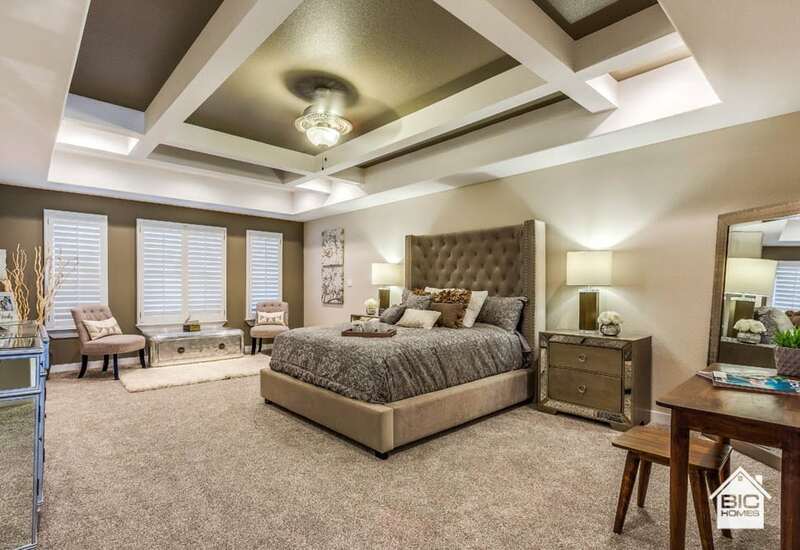 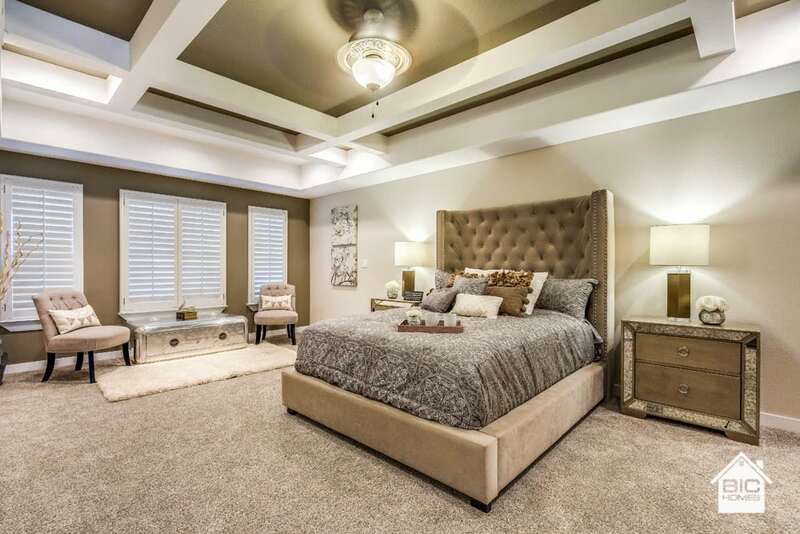 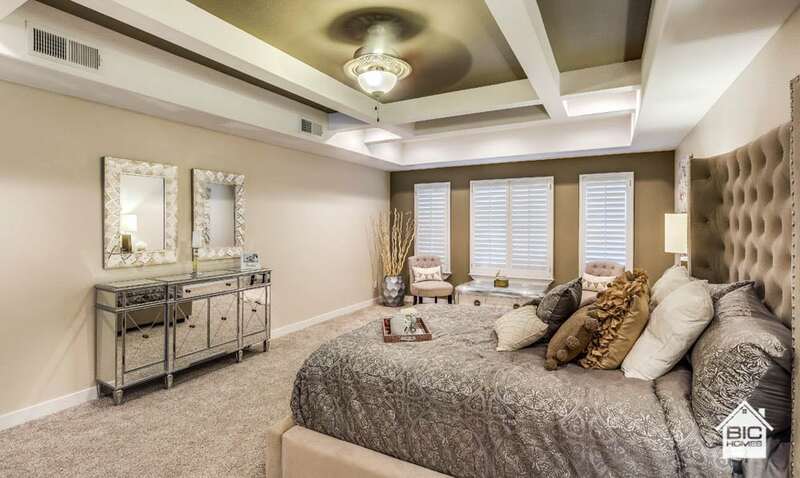 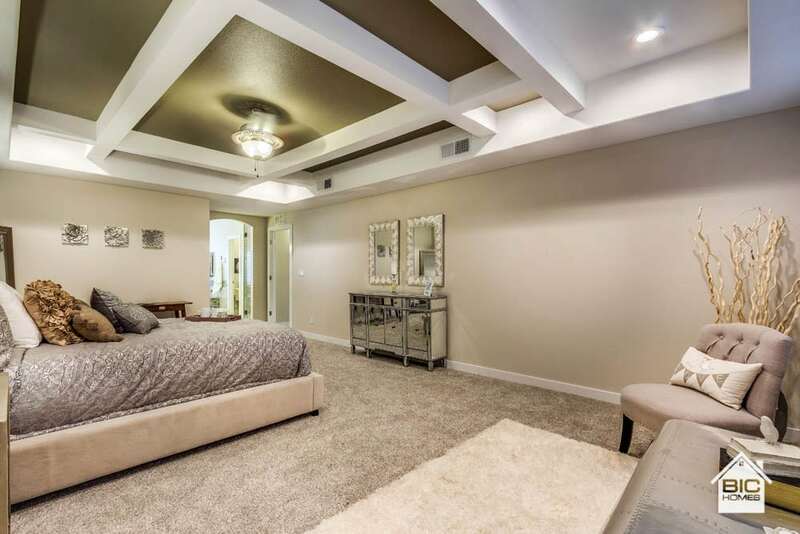 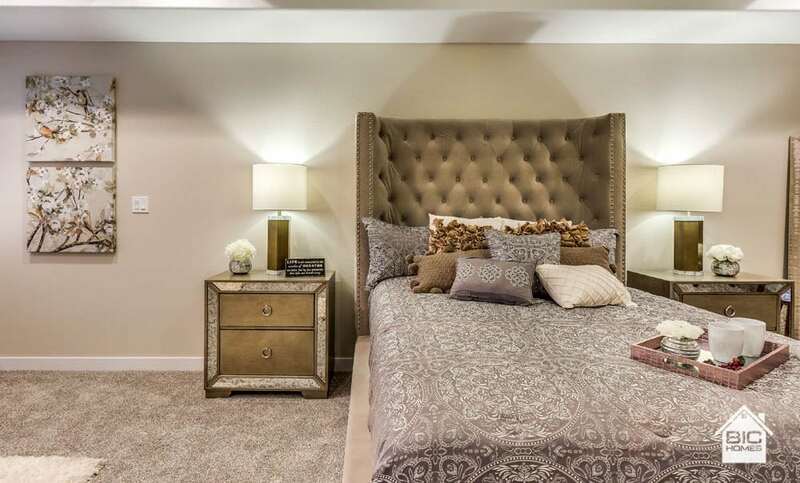 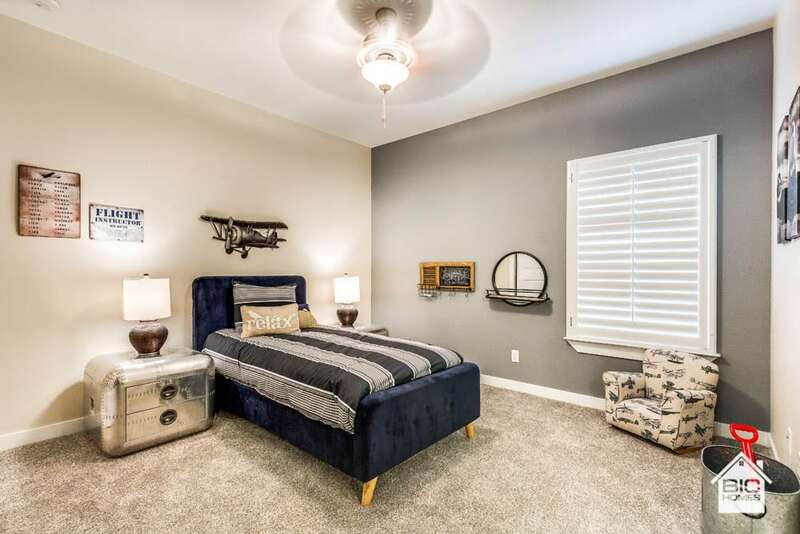 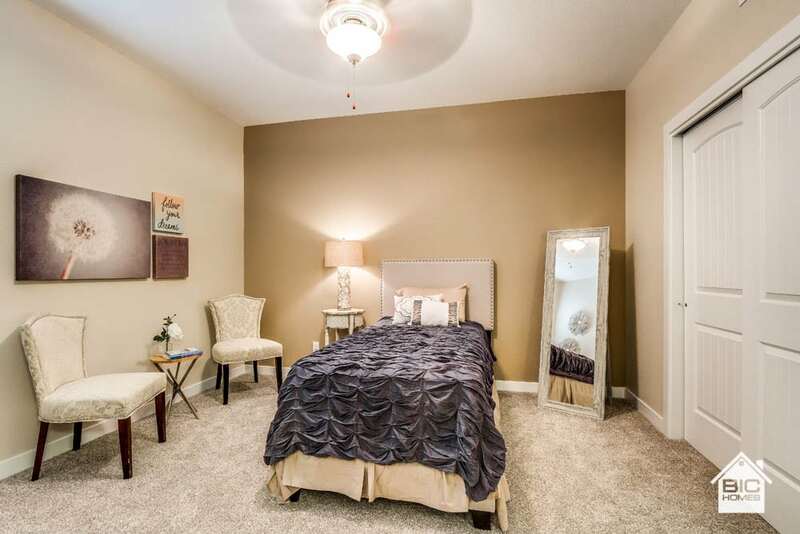 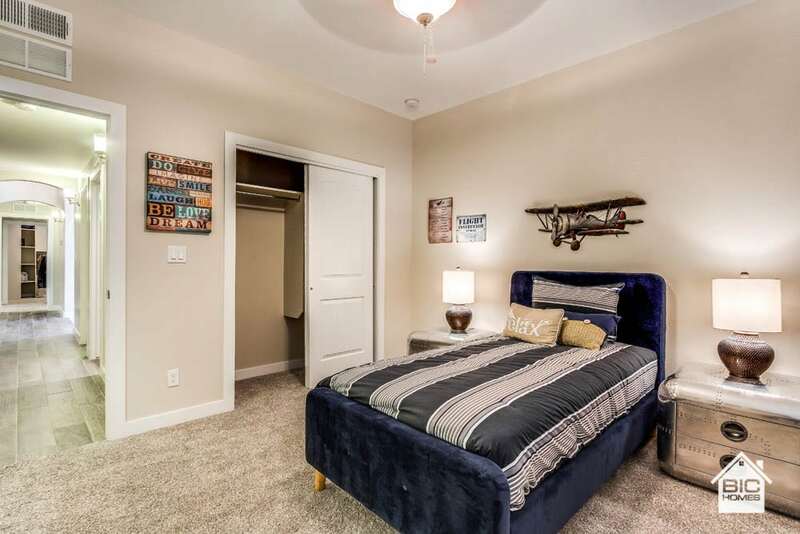 Zoned master suite consumes one whole side of this beauty includes a super-sized walk-in closet. 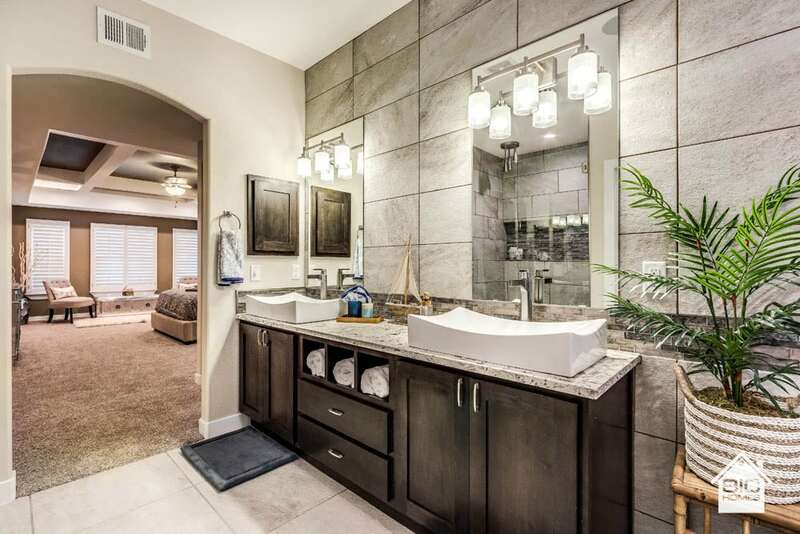 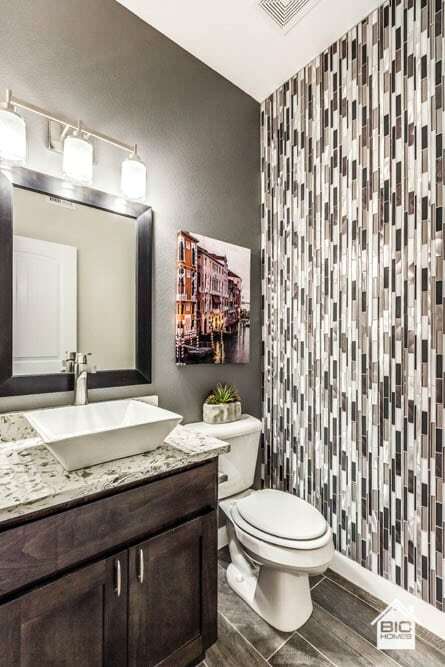 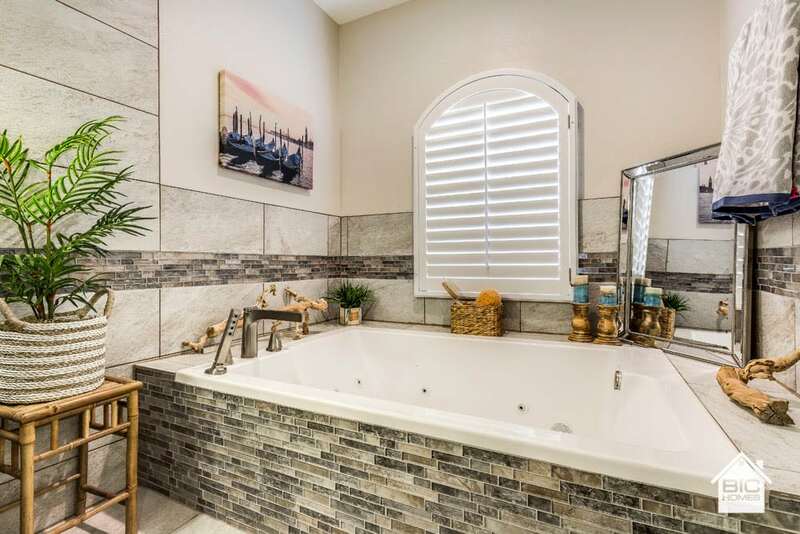 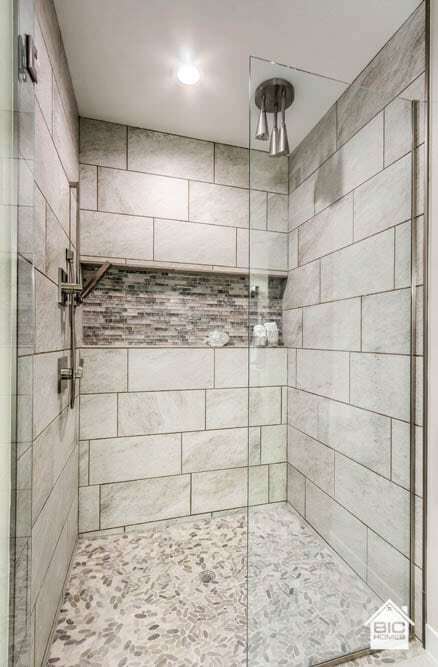 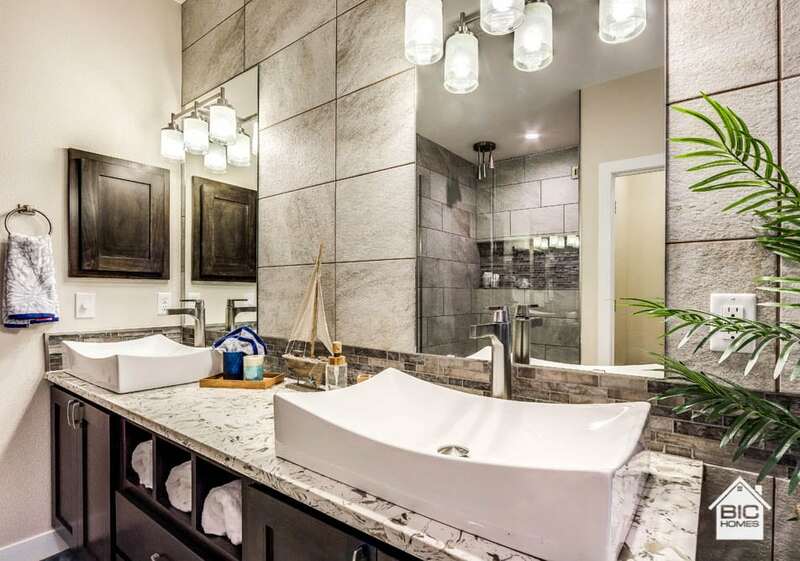 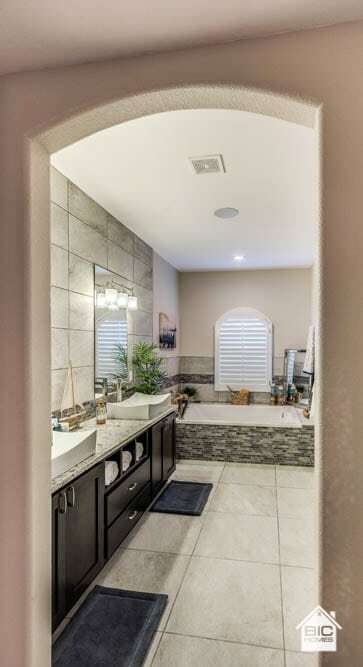 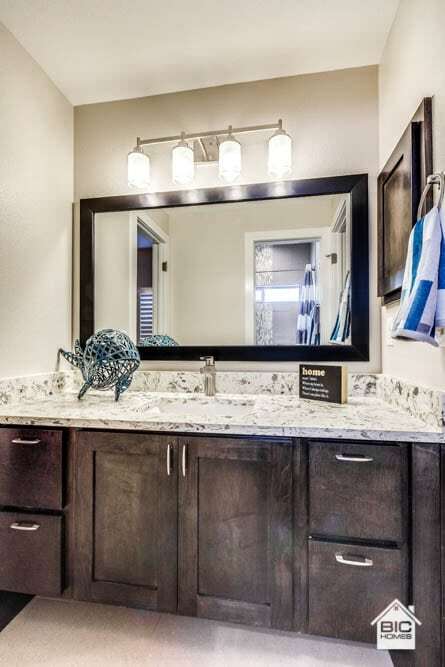 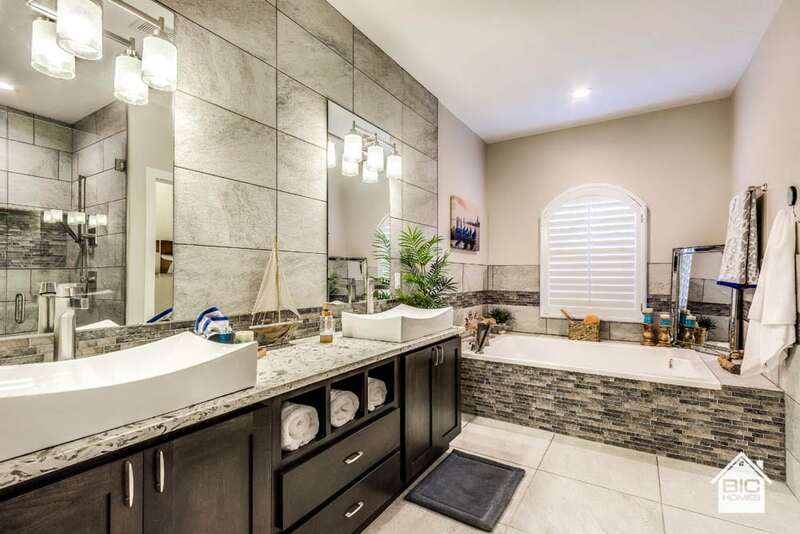 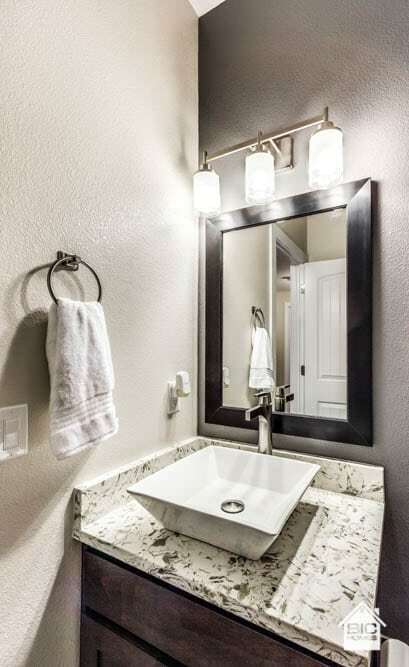 The Master bath has a large walk-in shower and jetted tub. 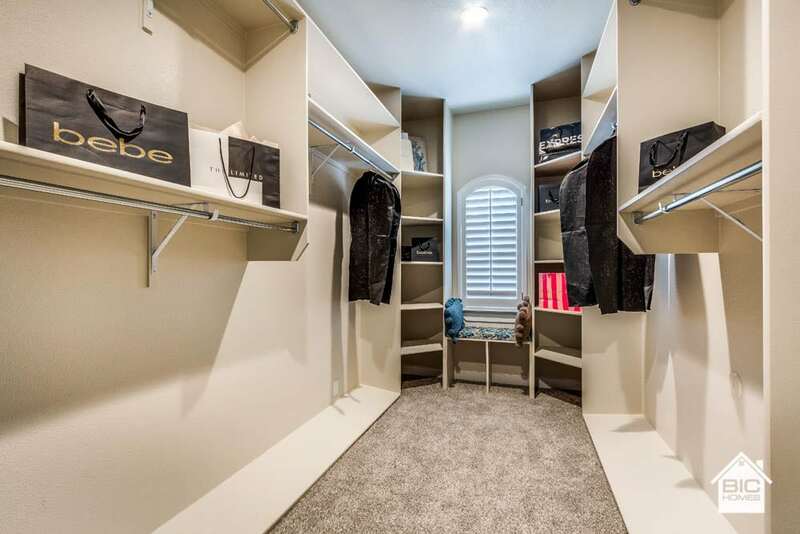 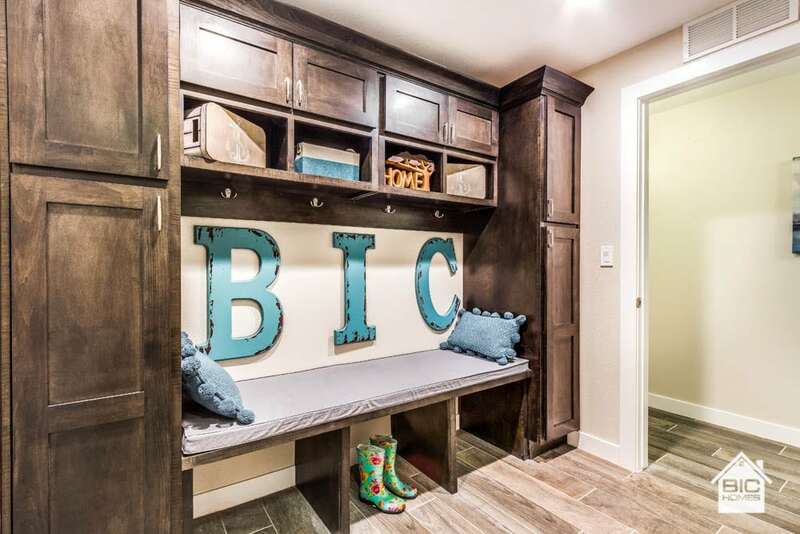 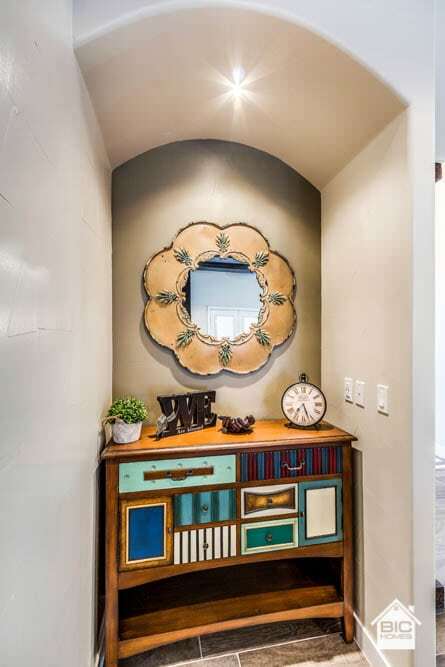 Powder room easy access off the main hallway utility and mudroom accessed from the garage all onto tiled areas for ease of clean up. 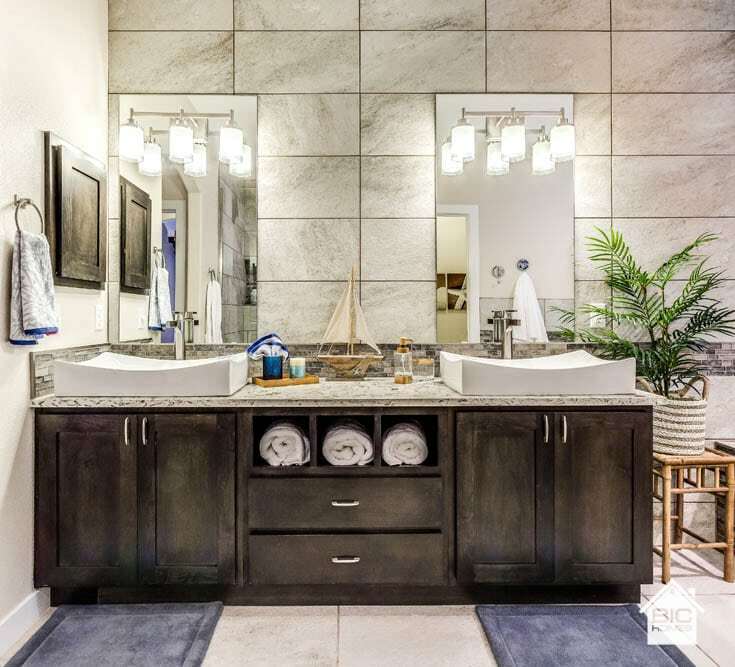 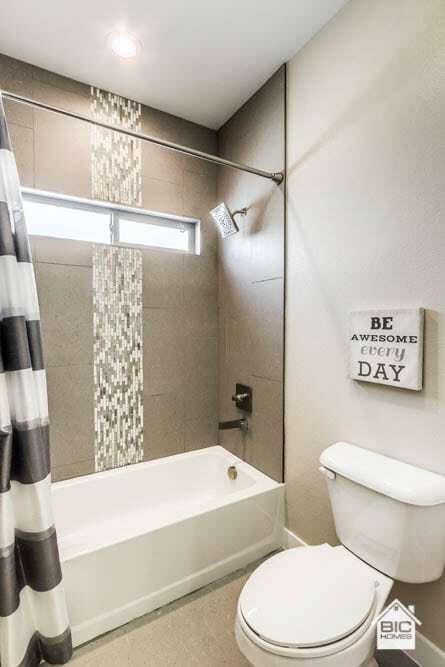 Secondary bedrooms offer a Jack and Jill bathroom. 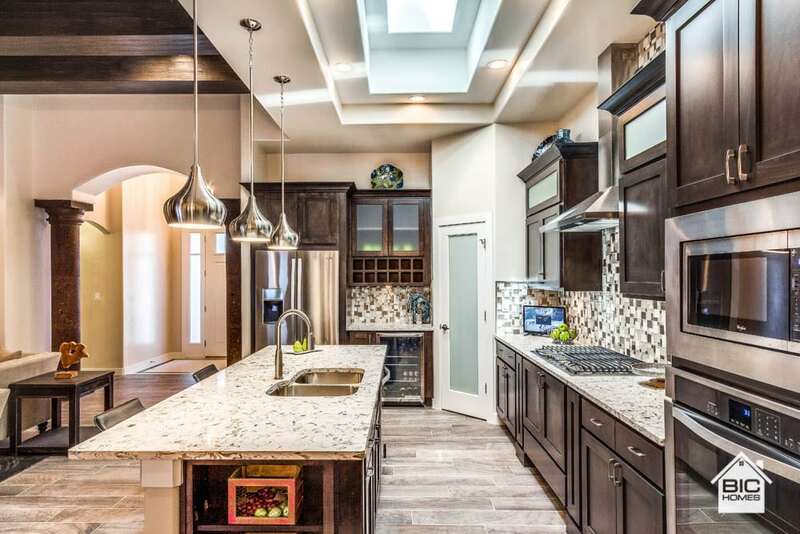 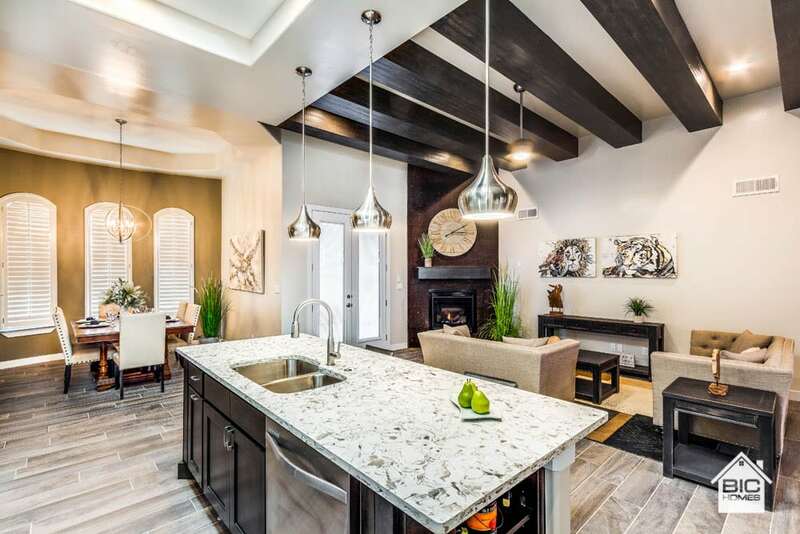 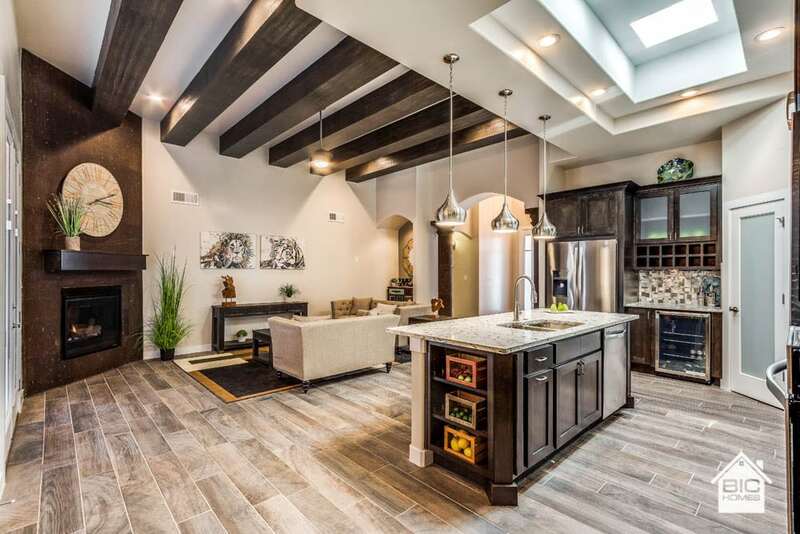 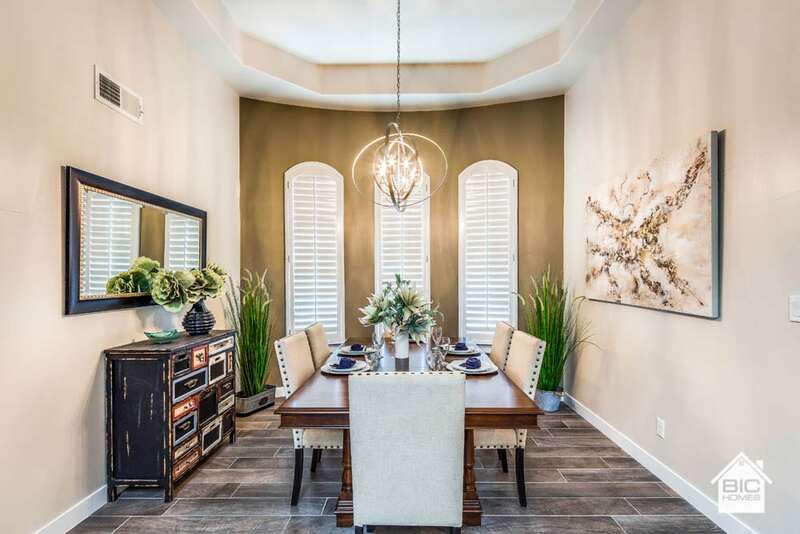 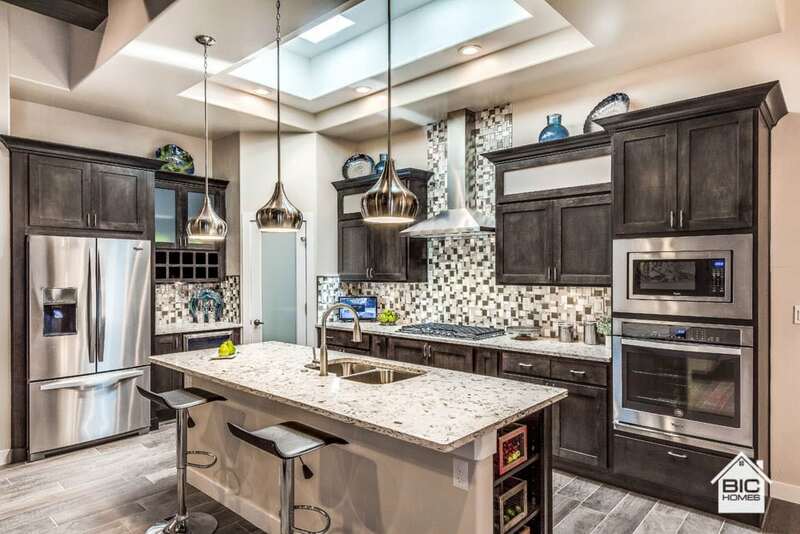 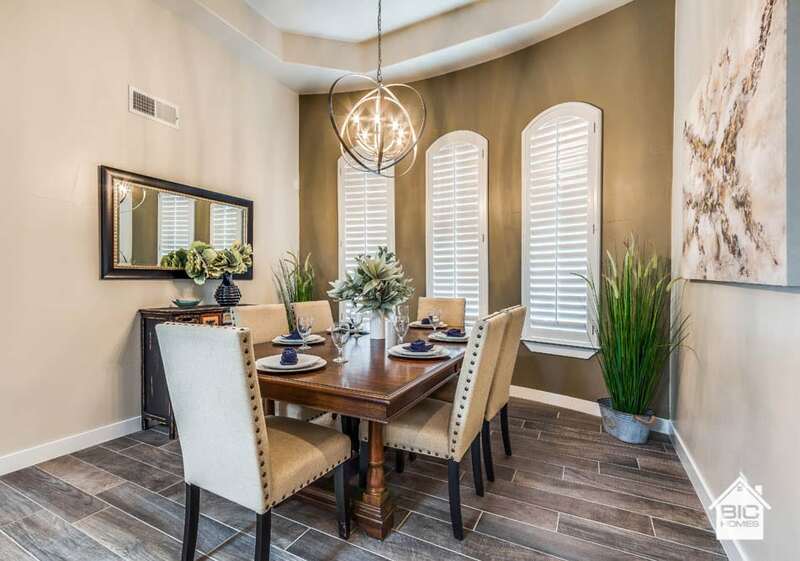 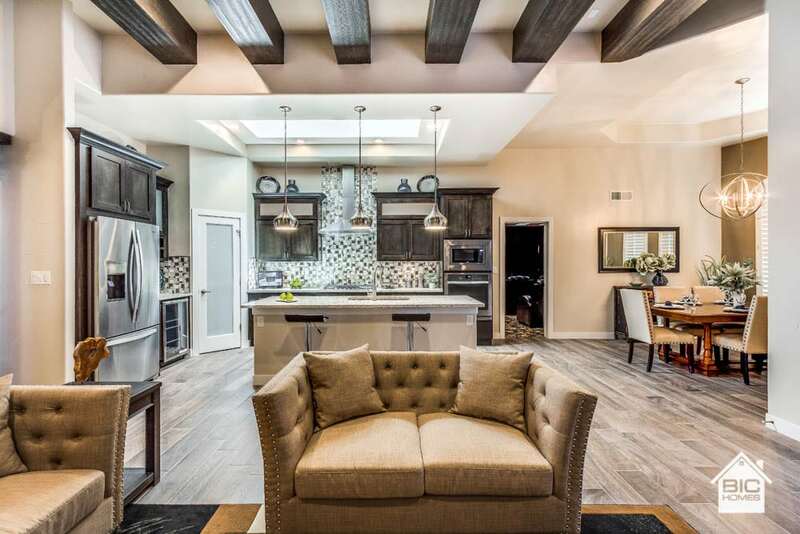 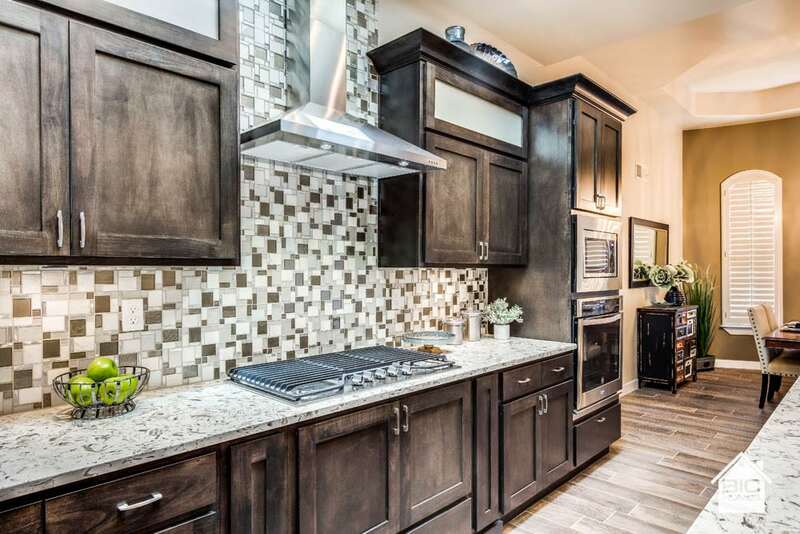 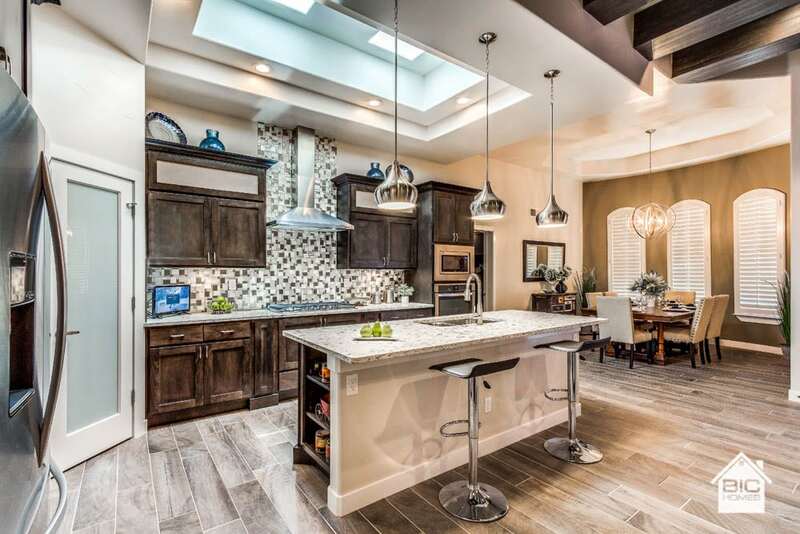 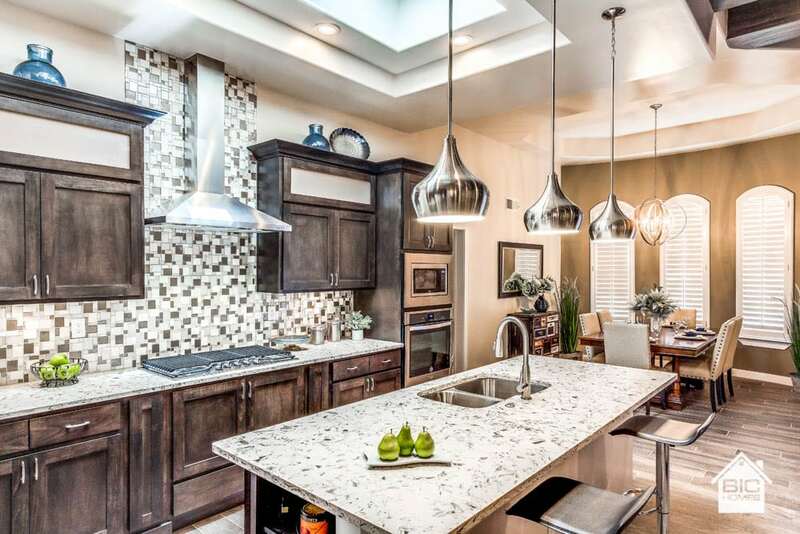 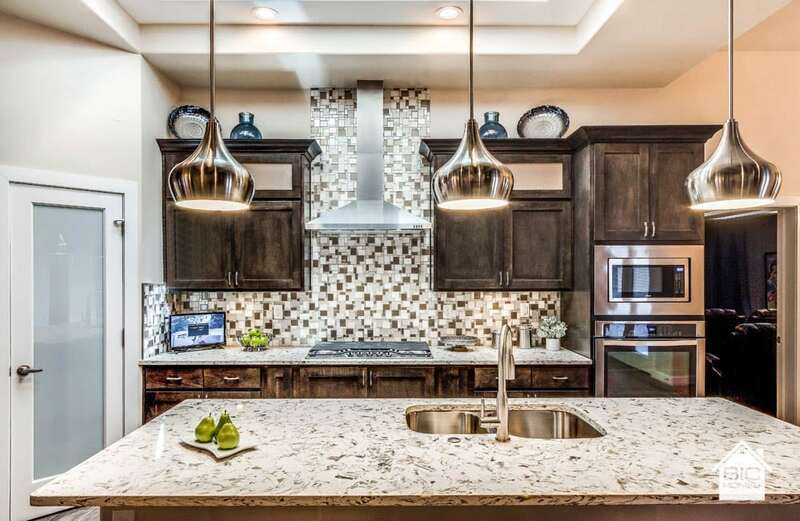 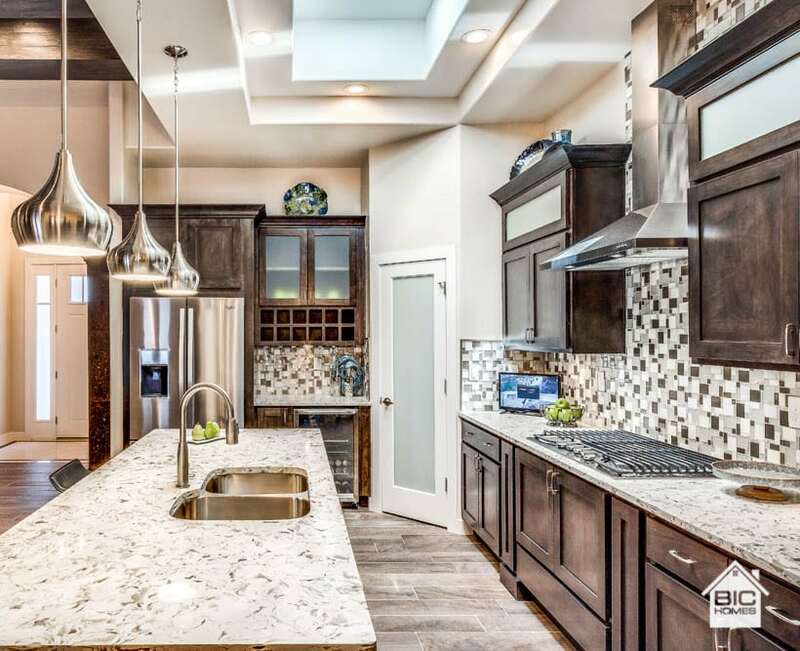 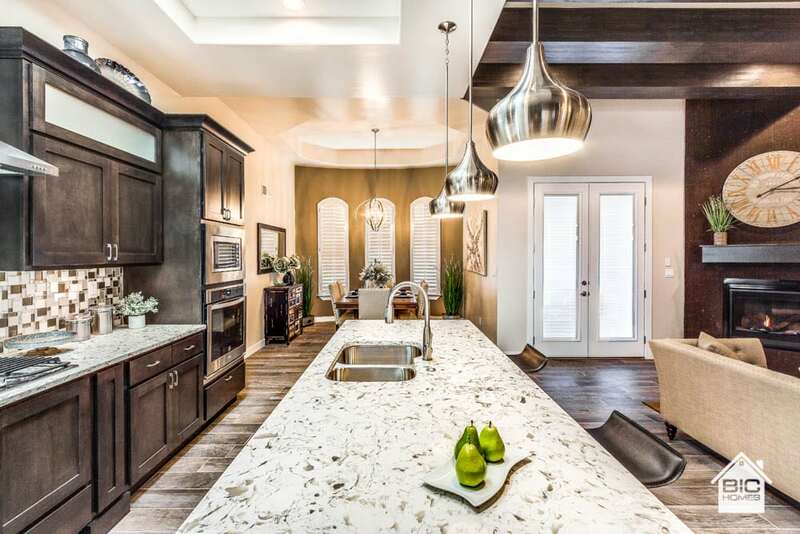 The open family and dining room areas are large enough for all your family entertaining, large kitchen island with breakfast bar and walk-in pantry. 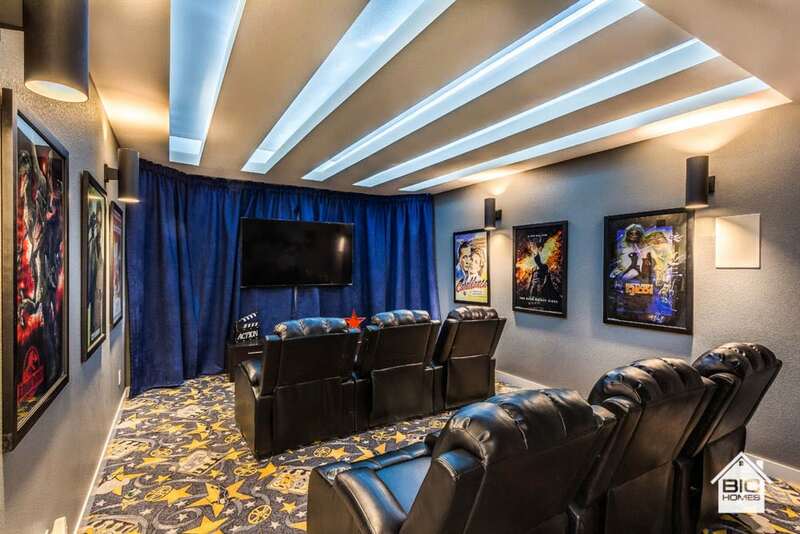 The Flex/ Theater room has access from main living area. 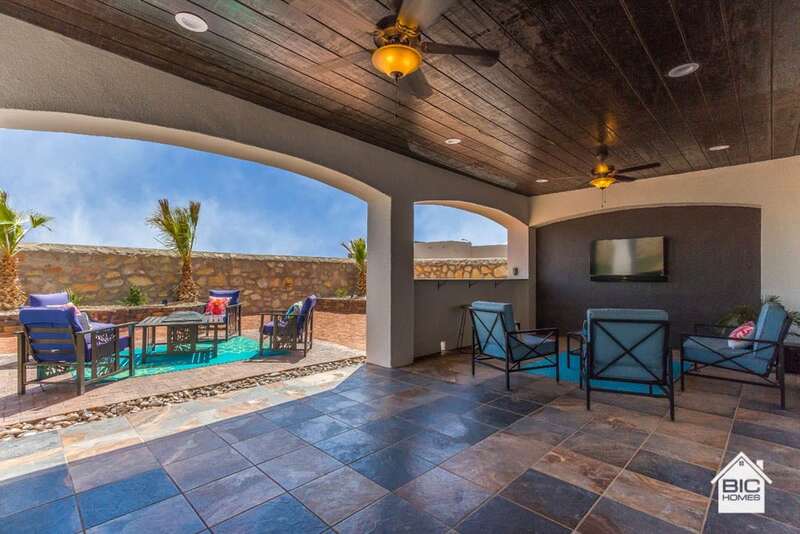 Family room opens to the over-sized covered patio for additional lifestyle enjoyment. 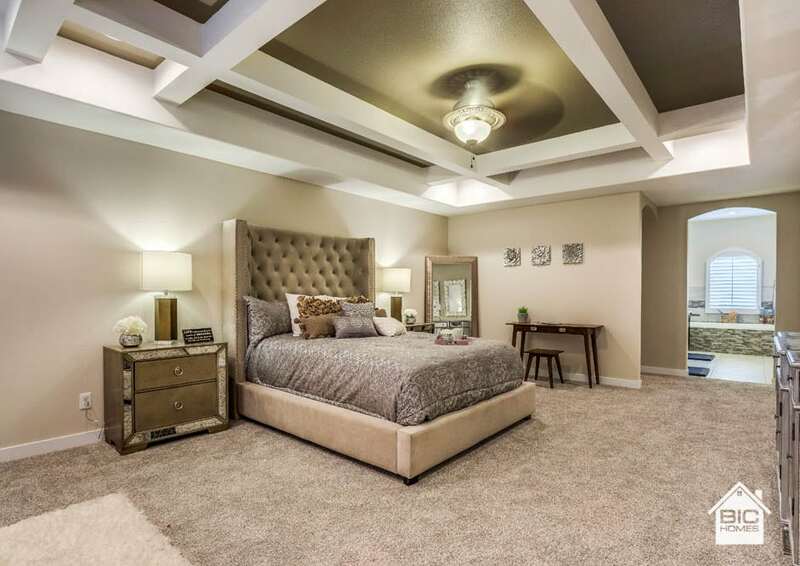 The Barcelona 4 bedroom theater is the granddaddy to the Barcelona with some amazing added features. 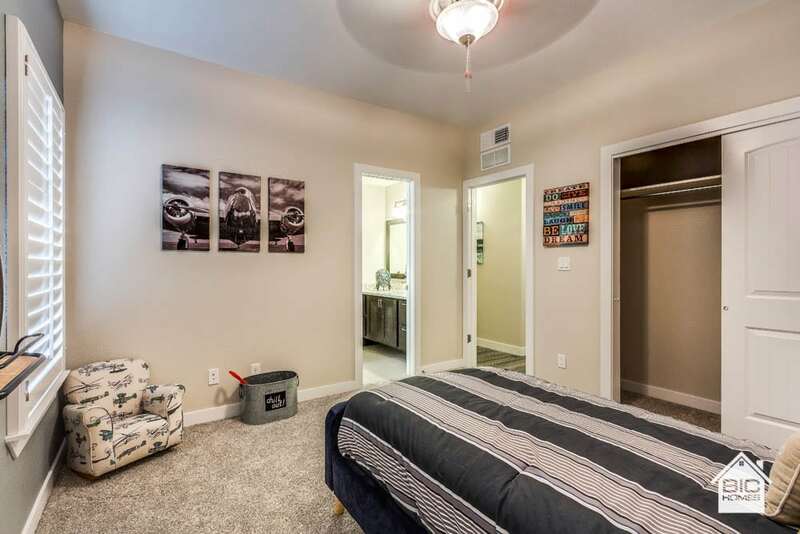 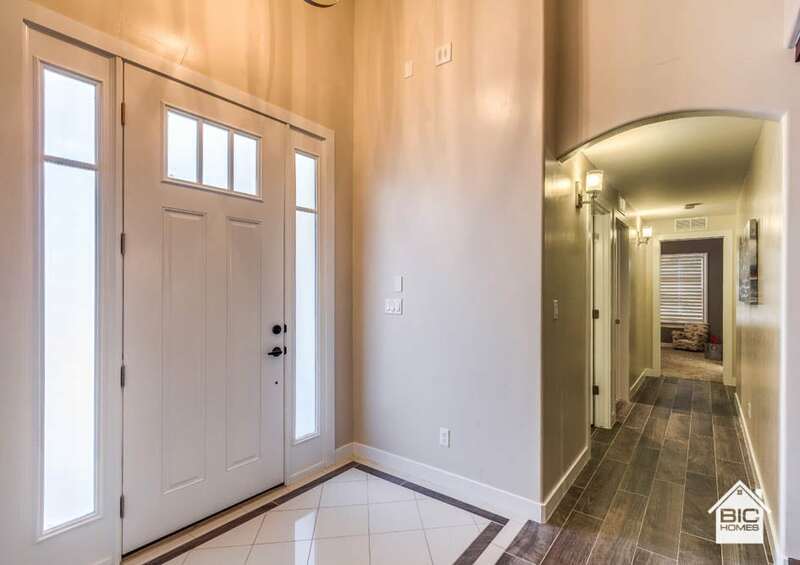 This home is a transitional style home, the curb appeal of this home will melt you away, large front courtyard with enough room for a table and benches great for star gazing. 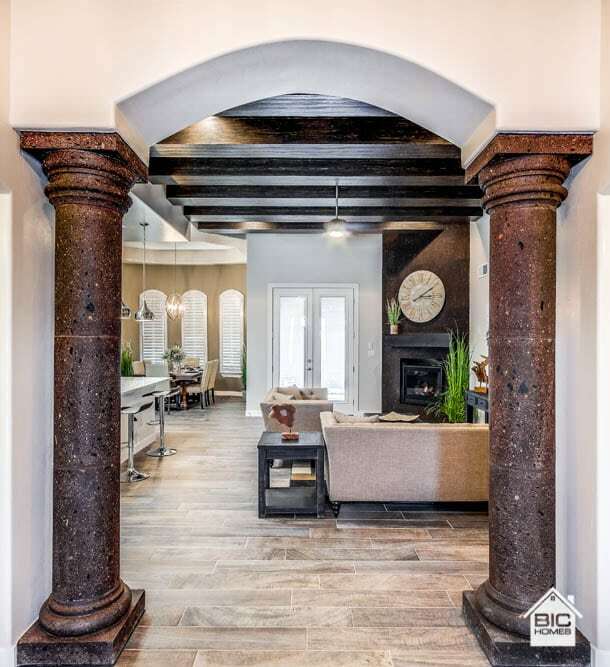 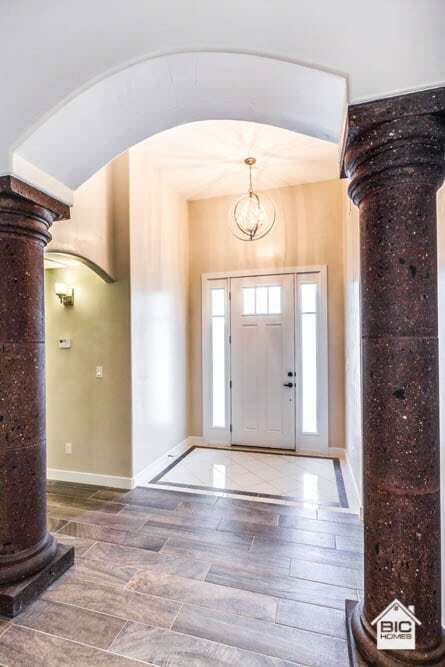 Covered porch leads you into foyer, talk about a grand entrance! 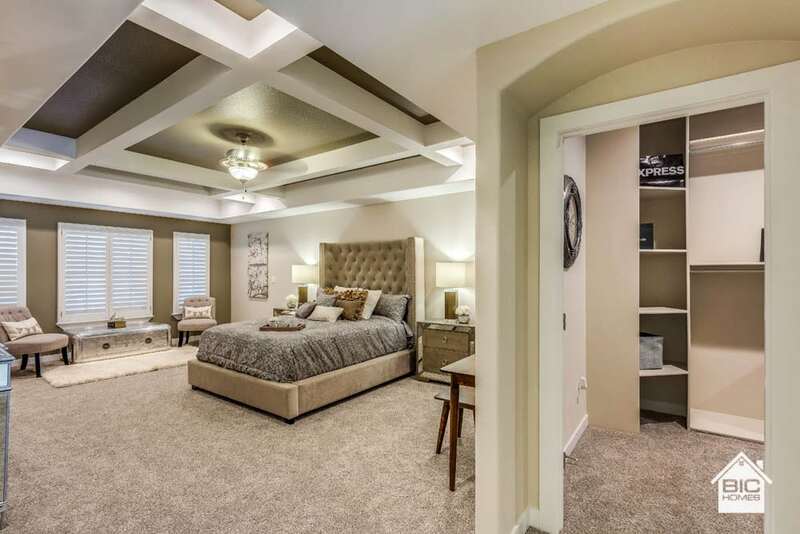 Zoned master suite consumes one whole side of this beauty includes a super-sized walk-in closet. 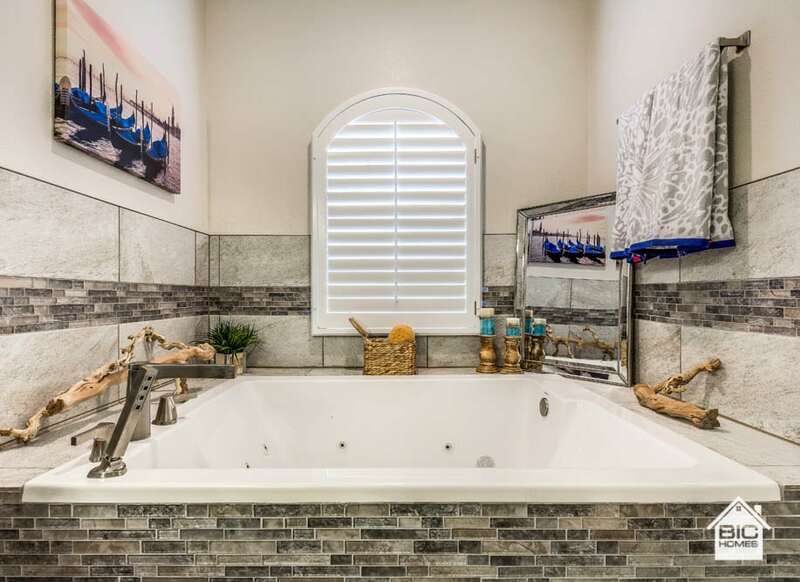 The Master bath has a large walk-in shower and jetted tub. 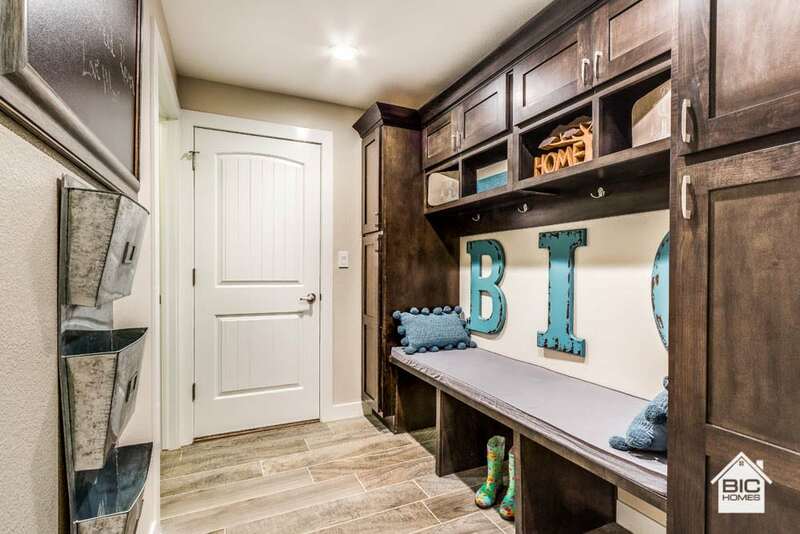 Powder room easy access off the main hallway utility and mudroom accessed from the garage all onto tiled areas for ease of clean up. 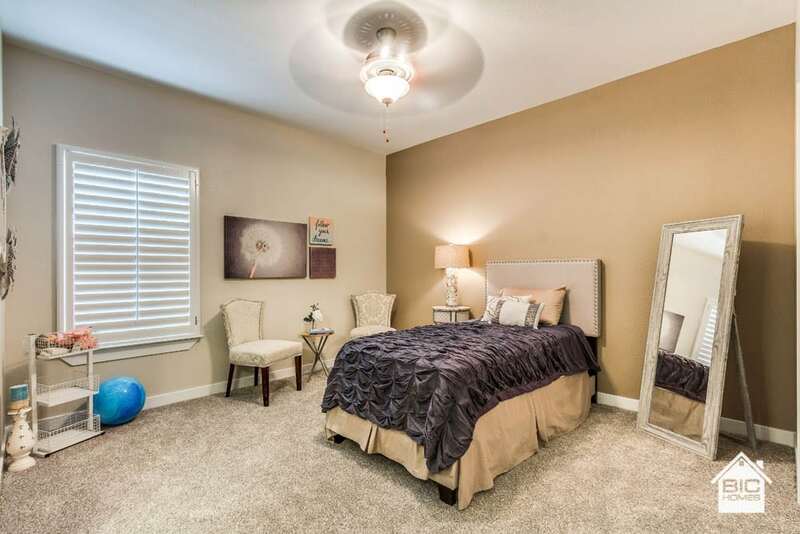 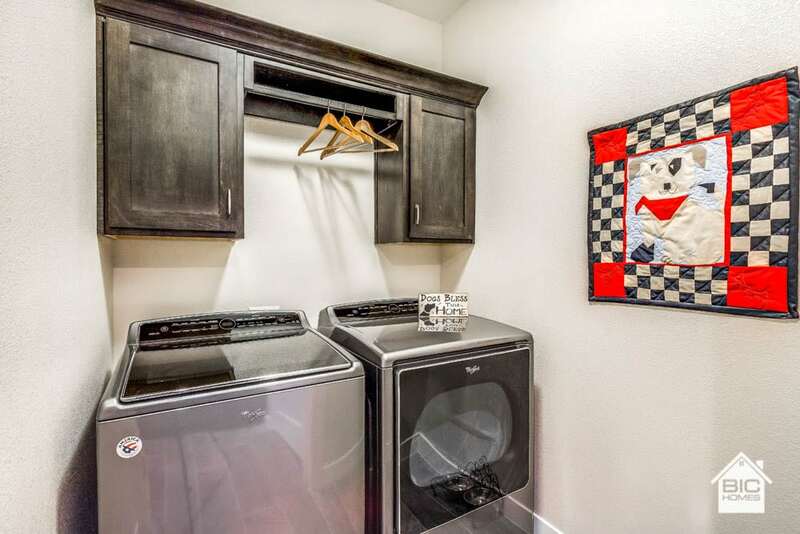 Secondary bedrooms offer a Jack and Jill bathroom, and a Jr. Suite with its own private bathroom. 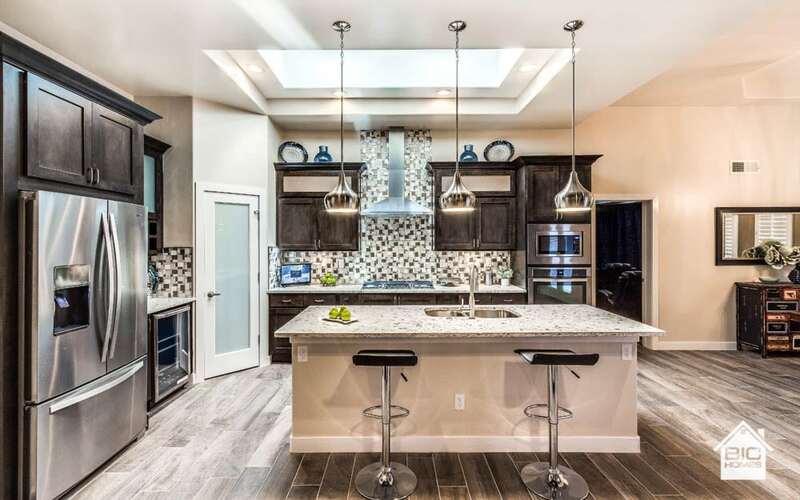 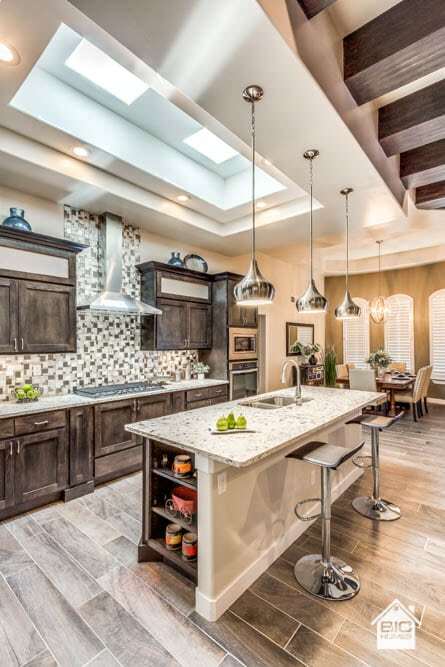 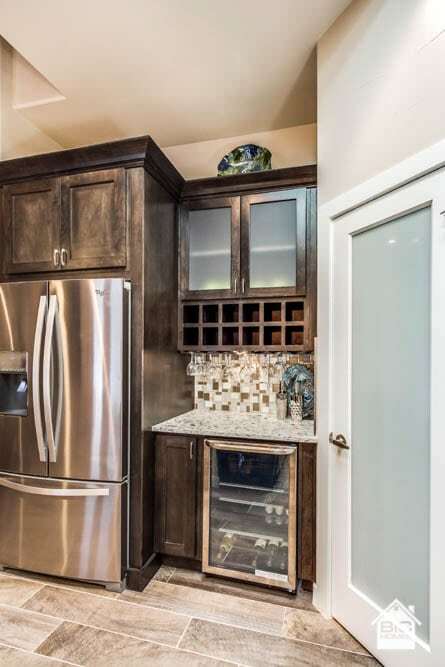 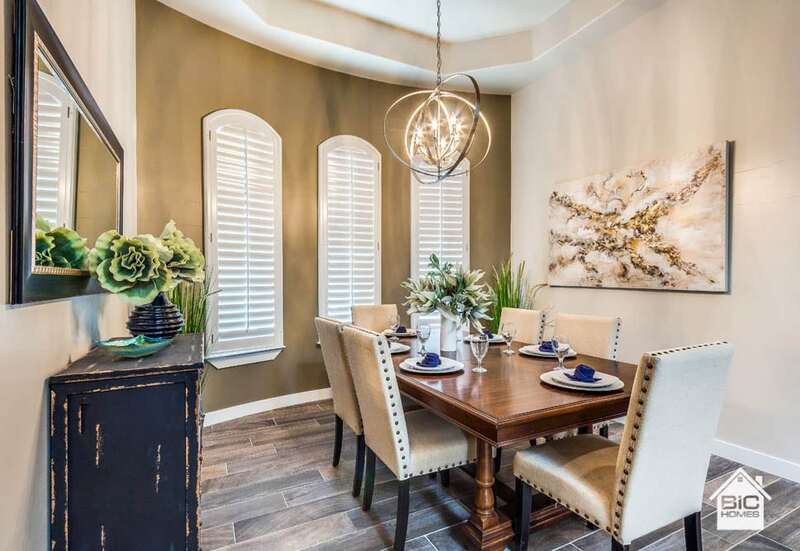 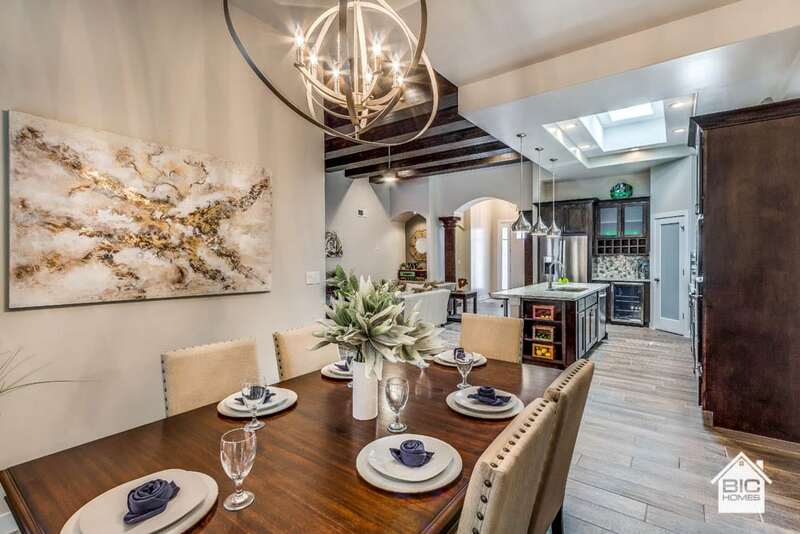 The open family and dining room areas are large enough for all your family entertaining, large kitchen island with breakfast bar and walk-in pantry. 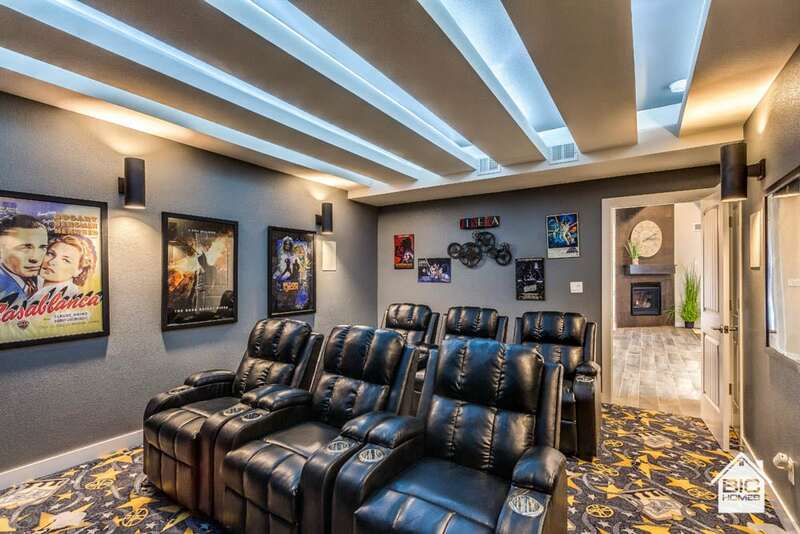 The Flex/ Theater room has access from main living area. 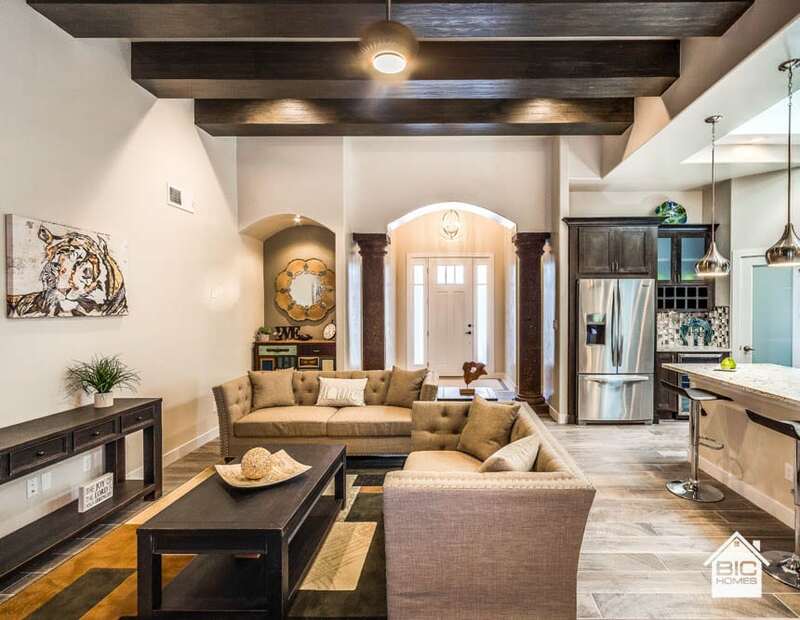 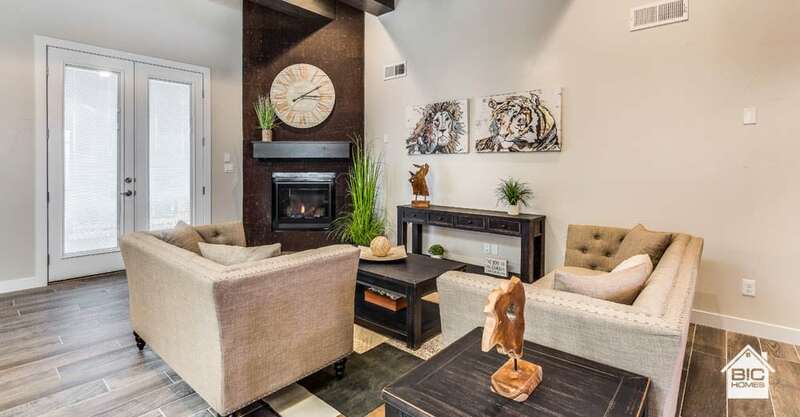 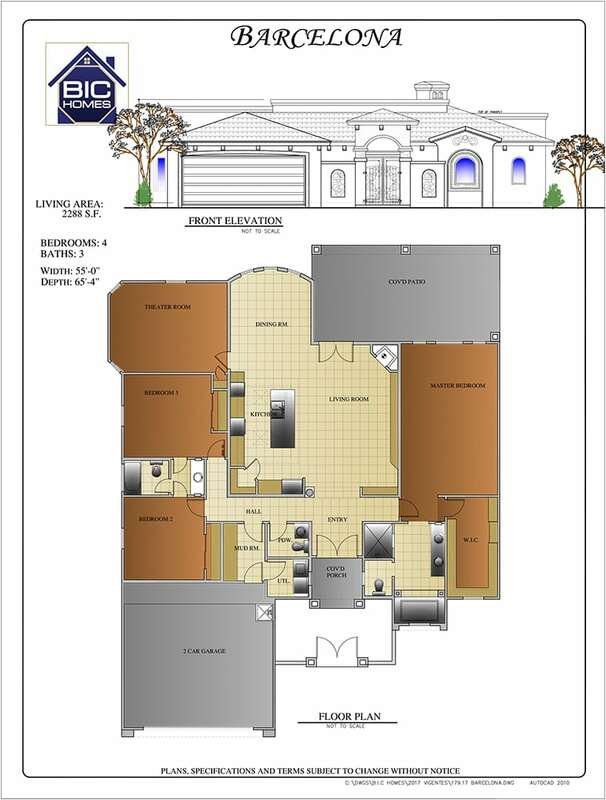 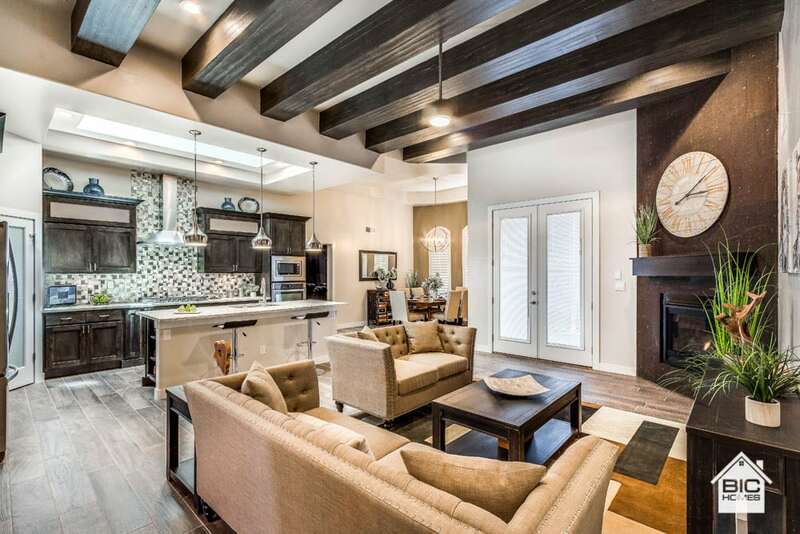 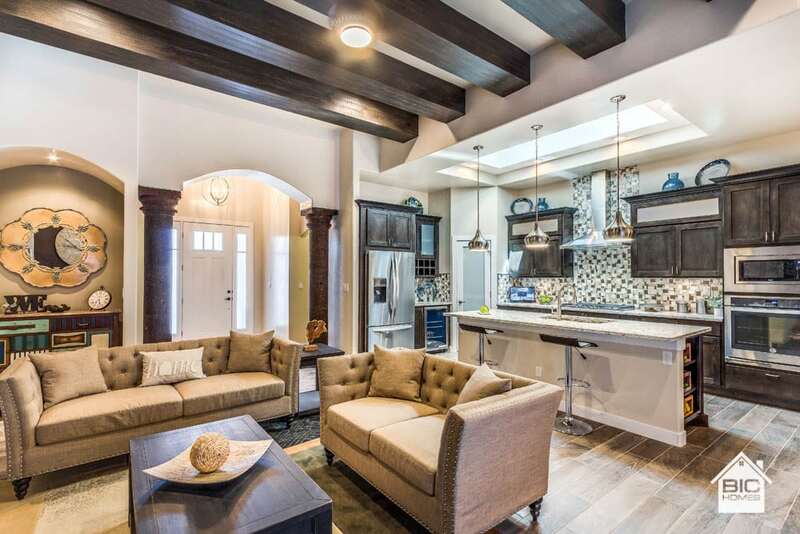 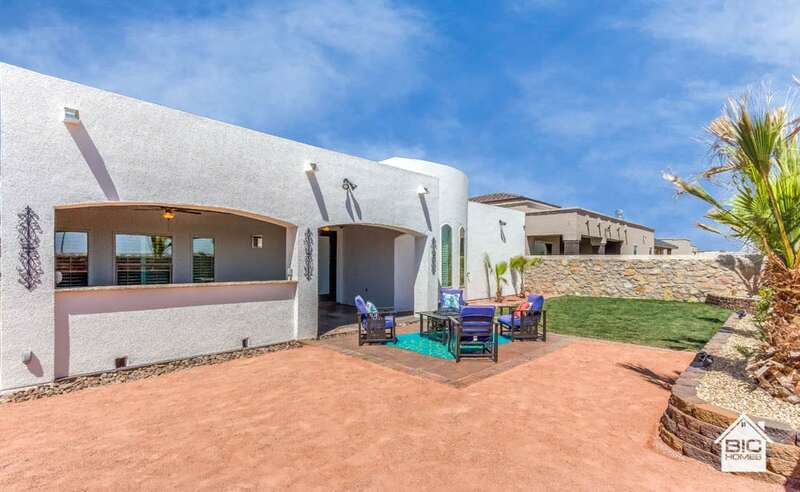 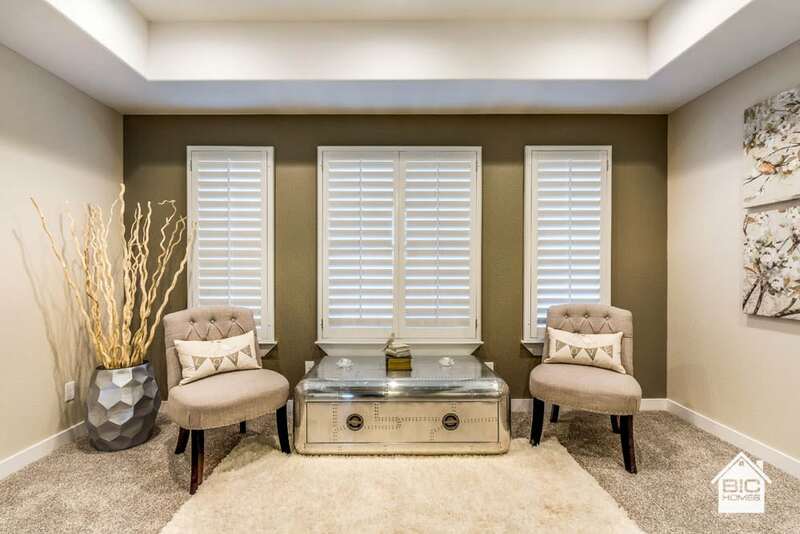 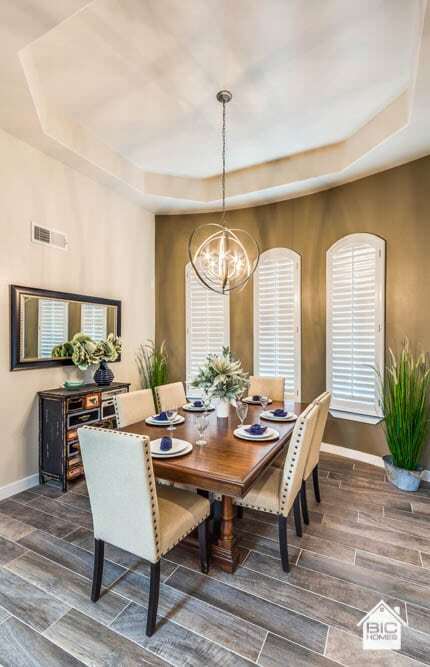 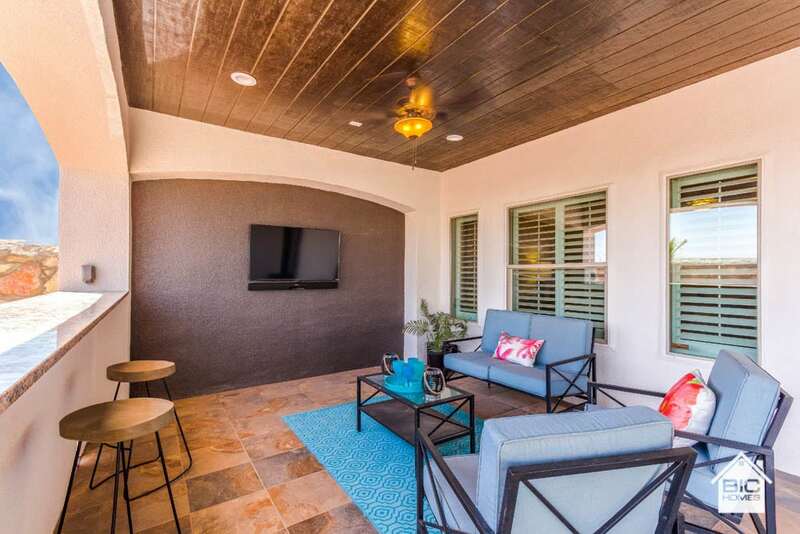 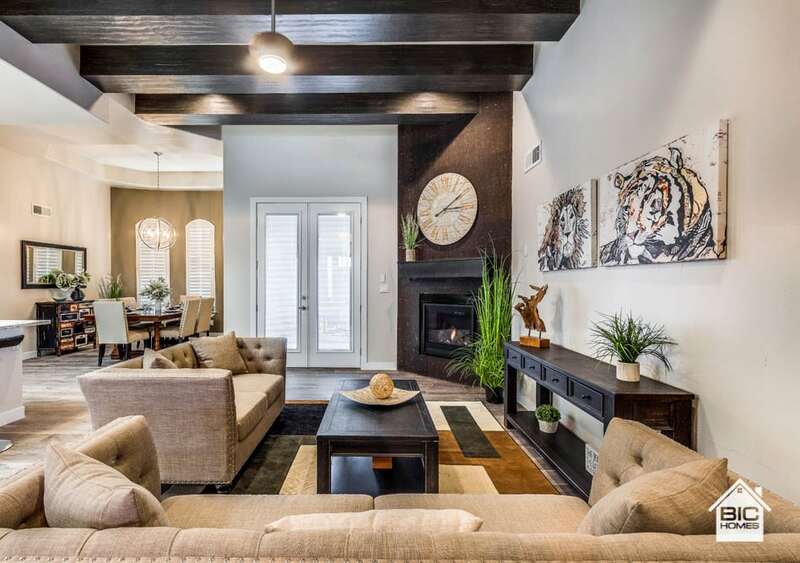 Family room opens to the oversized covered patio for additional lifestyle enjoyment.